Base from World of Speed, some parts from Shift 2 Unleashed, Forza Motorsport 4 and NFS The Run. - With NFS-TexEd, open FrontB.lzc, find ID 191 and 337 and replace with CARSELECT_MANUFACTURER_VOLKSWAGEN.dds and SECONDARYLOGO_GOLF.dds respectively. Save it. 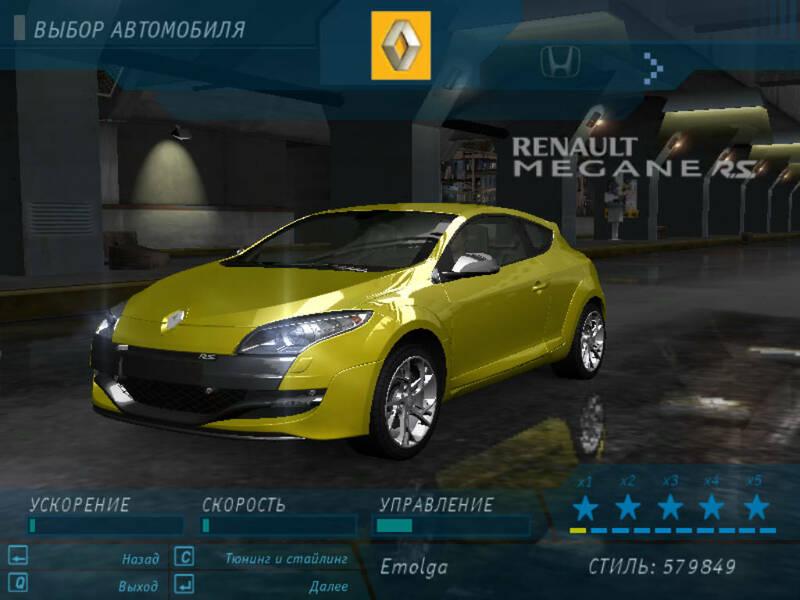 - With NFS-LangEd, open your language file in LANGUAGES folder, find ID 1536 and 1789 and replace with Megane RS, then find ID 3408 and replace with Renault Megane RS. Hit Apply and save.